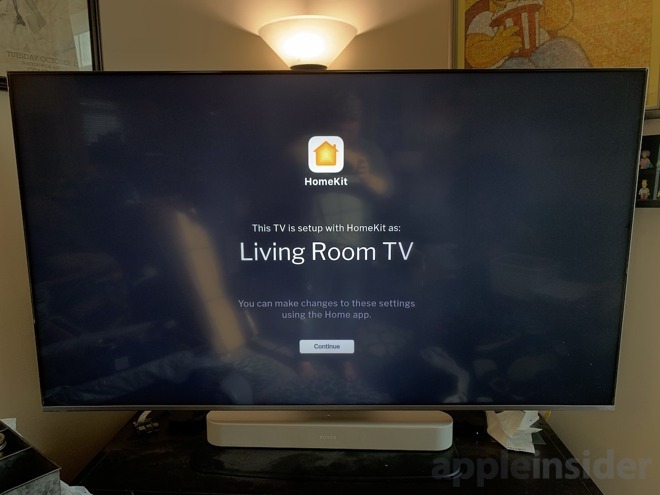 With the update, users will be able to use AirPlay to stream videos and music from their iOS device directly to their smart TV without the need for an Apple TV. They will also be able to control the TV using HomeKit. 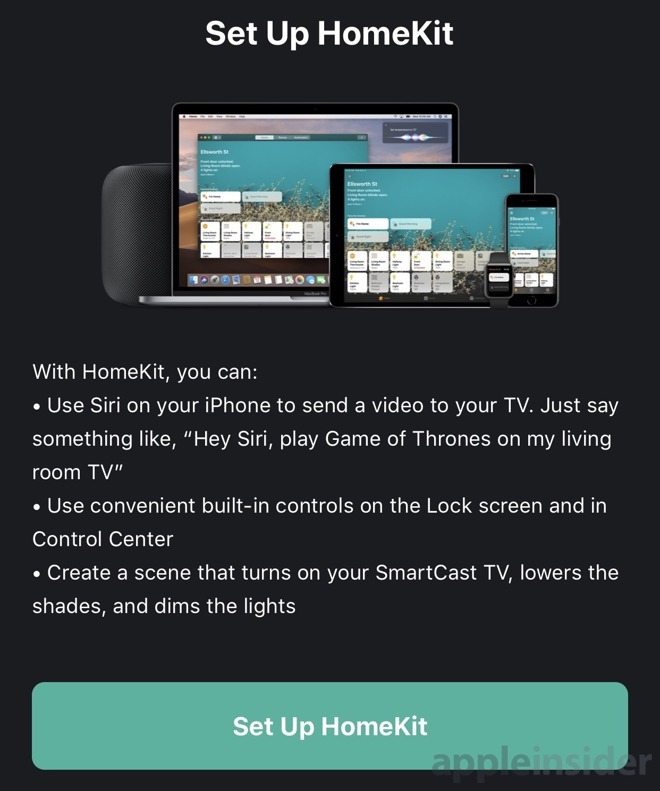 HomeKit allows users to simply ask Siri to turn the TV on or off. The TV can also be included in scenes, so a "movie time" scene might dim the lights, lower the curtains, turn the TV on, and change the input to Apple TV, all at once. Users can also control the TV through the new Remote widget that was refreshed in Control Center as part of iOS 12.2. Right now, Vizio users can switch inputs and navigate menus through the Home app or the Remote app. Controls such as a number pad, picture-in-picture, video mode and others are not currently supported directly through an iOS device, though these features could be added later. The beta process involves launching the Vizio SmartCast app, choosing "Apple AirPlay & HomeKit (Preview)" from the left-hand menu and following the prompts to enroll the TV in the beta and install the update. A HomeKit pairing code and QR code is displayed on the TV to be scanned — even from across the room — with an iOS device. The signup period for SmartCast 3 started soon after CES, where Vizio was one of several TV manufacturers announcing support for AirPlay and HomeKit.